EXCLUSIVE: Universal Pictures and directo rAngelina Jolie have found their villain for the Lou Zamperini tale Unbroken. Jolie has set Japanese guitarist and singer Miyavi to play the role of Mutsushiro Watanabe, known as “The Bird.” That is the guard who made it his mission to break the spirit of Zamperini, and who haunted the athlete-turned-POW’s every step after he was captured in WWII. I’m told by individuals close to the project that it was no easy task to cast this role. After a long search for the perfect actor, the filmmakers continually found themselves returning to Miyavi’s captivating audition, one that mixed grace, ferocity, sensitivity and sophistication. That audition got Miyavi his first lead role in a Hollywood film. Jolie begins production in Australia in two weeks, and Universal releases the film December 25, 2014. Miyavi might be a new face onscreen, but he is well known in international music circles for his unconventional guitar and singing skills and music that incorporates period-authentic guitars and playing styles from the 1940s. Now he’s going back to that volatile wartime era in Unbroken. Miyavi will have to reschedule part of an upcoming Asia tour to perform the role. I must say, I have been fixated on The Bird since I first saw a wonderful short segment broadcast during the Nagano Olympics, where Zamperini returned to Japan in 1998. After running so compellingly in the final lap of his distance race in the 1936 Munich Olympics that Hitler asked to shake his hand, Zamperini was expected to bring home the gold with four more years of seasoning. The 1940 Olympics were scheduled to be held in Japan but all that fell apart in war. Zamperini instead arrived as a bombardier fighting in WWII. Sent on a rescue mission aboard a faulty aircraft, Zamperini and two other crewmen were the only survivors of a crash in the Pacific Ocean. After surviving in a raft for 47 days, the near-dead men were caught by the Japanese navy. And so began a POW ordeal that would have broken most men. In that CBS segment, Zamperini found the grace to forgive his captor, and offered to do it in person. The Bird was interviewed on camera, but he refused to meet with the hero he tormented for so many years. Universal first made a movie deal with Zamperini in 1957, when Tony Curtis planned to make the Zamperini story his followup to Spartacus. He waited forever. It was kept alive for over a decade by Matthew Baer, who is producing with Jolie, Erwin Stoff and Clayton Townsend. 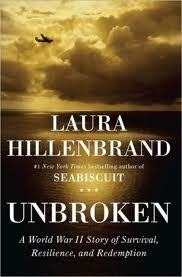 The big break was the publication of the book by Seabiscuit author Laura Hillenbrand, which gave the project a second wind. Jolie, who had impressed Universal executives with her 2011 feature directing debut In The Land Of Blood And Honey. She flipped for the book and for Zamperini, and won the job over several other accomplished directors. And suddenly the 96-year old Zamperini sees his movie go into production, with Jack O’Connell playing him. Joel and Ethan Coen wrote the most recent draft of the script, with earlier drafts written by William Nicholson and Richard LaGravenese. Jolie will have Roger Deakins as her DP, and Universal execs Kristin Lowe and Sara Scott are overseeing for the studio.